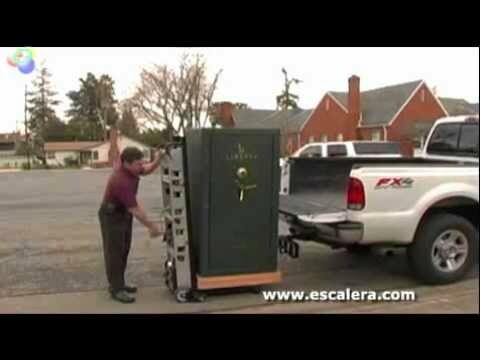 The Escalera Motorized Stair Climber Hand Truck is the most powerful offered for order by Handtrucks2go.com. This amazing piece of equipment is made of a powerful aluminum alloy. It is lightweight but is even stronger than steel. This stair climber hand truck is easy to operate with a single control, up and down switch. The various models are battery powered and come with an exclusive automatic battery charger on each of the different models. Each one of the models is twenty four (24) inches wide. Each one of the models comes standard with two straps. One is an upper strap and one is a lower strap. 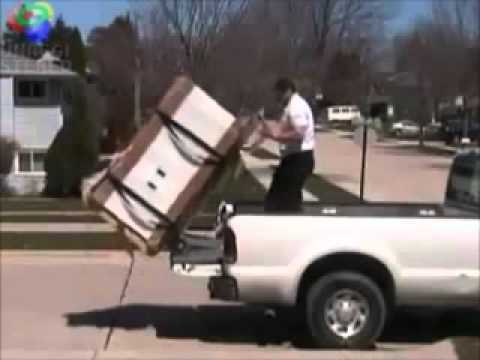 The straps are strong enough to hold any heavy equipment. For more information, watch the video on this webpage. Handtrucks2go.com has a friendly staff that can answer any questions you have about purchasing one or more of these Escalera Motorized Stair Climbers. We offer the Best on the Web Price Guarantee for these powerful Stair Climbers, along with any of the many hand trucks we sell. FREE SHIPPING is available for all of the Stair Climbers shown on this website. Call our Customer Service Desk for more information.